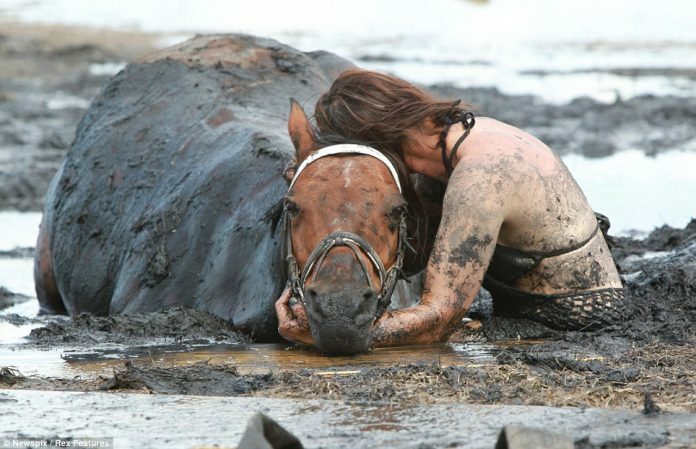 Exhausted and mud-splattered, Nicole Graham clung to her trapped horse Astro for three hours keeping his head high in a race against the tide. The 78-stone show horse had sunk into quagmire-like mud and was facing the prospect of drowning as the water rose around them. 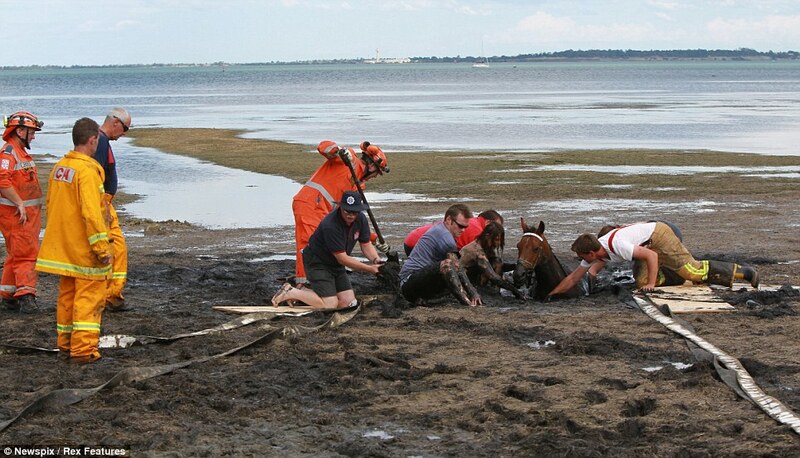 In the Australian summer of 2012, this horse, Astro, became stuck in a bog. The horse and its owner, Nicole Graham, had been out for an afternoon ride along the beach just south of Melbourne, Australia. Graham had ridden the area on several occasions. Graham runs an horse denisty business and is the responsible owner of more than 10 horses. Graham had been riding with her daughter, Paris. 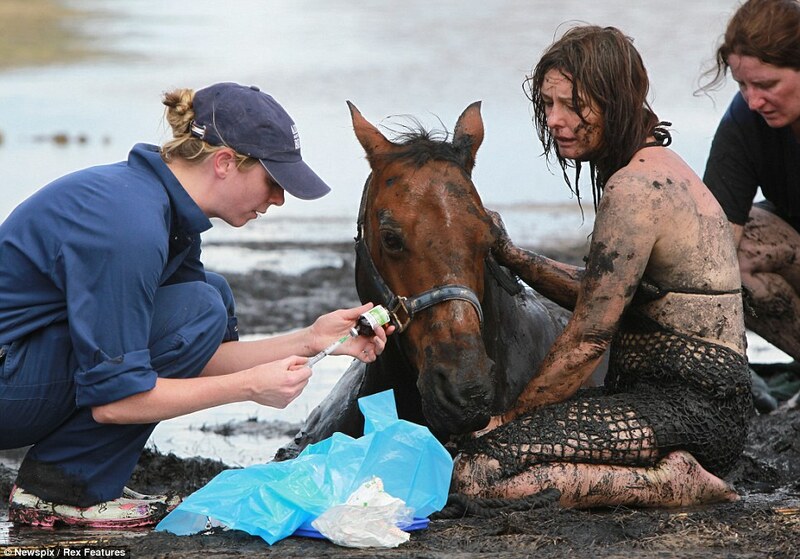 Paris and her horse almost got stuck in the bog, too. 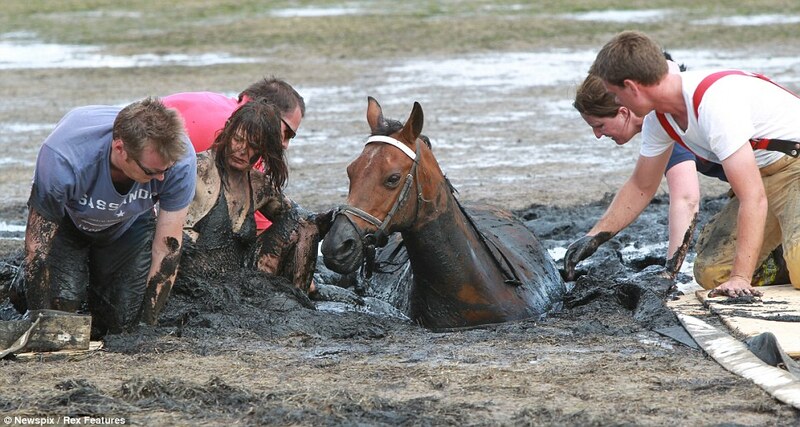 The mother briefly left Astro stuck in the mud while she got her daughter to firmer ground. Once freed, Paris returned to the family vehicle and made several calls for help. Time was of the essence — the tide was coming in and the spot where Astro was stuck would be underwater within hours.